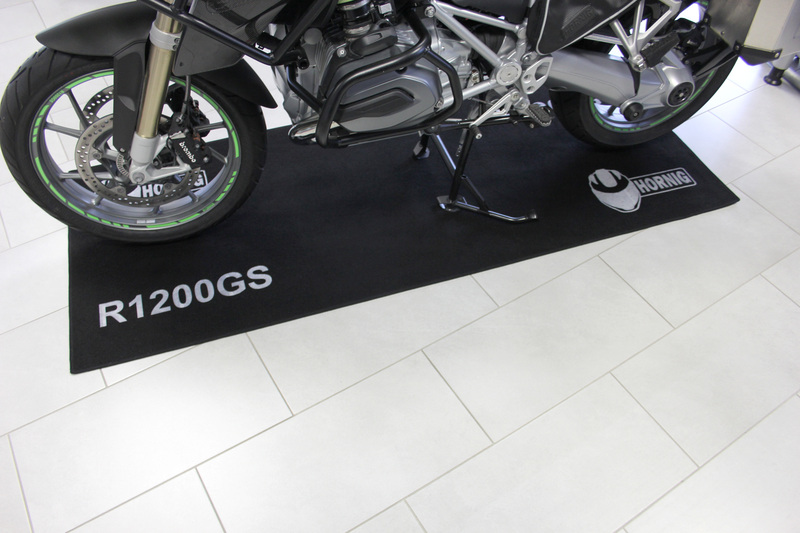 This black carpet with for example grey R1200GS writing is also named race floor, garage mat, garage rug or floor mat. It protects your floor from oil and petrol. 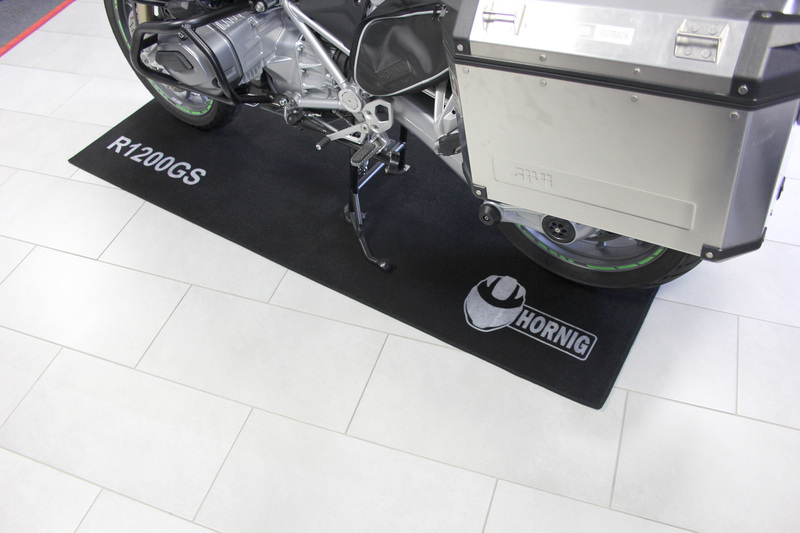 This garage floor mats can be used not only to protect garage floors but also as an ideal way to brighten up your home, garage or pit lane. It is oil and water resistant. The material is nylon. 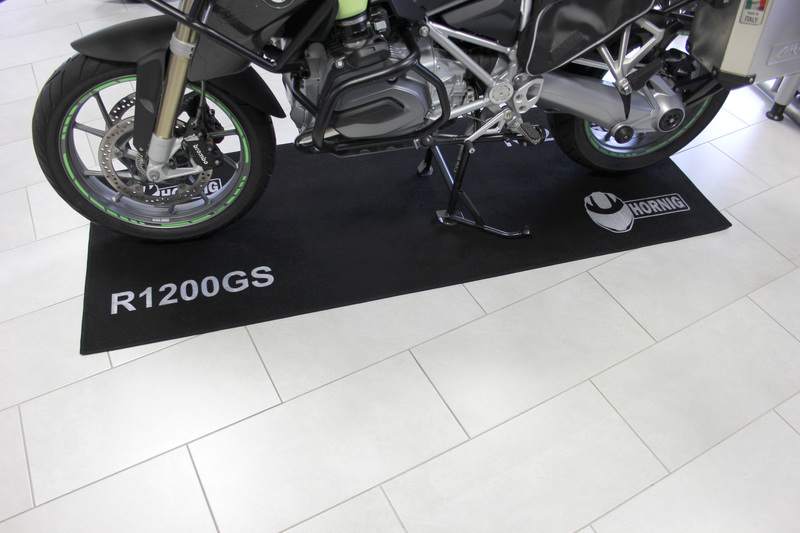 The size is 80x200cm with a anti-slip bottom side.